"Freedcamp allows you to quickly access and manage every project in your life. One place to stay organized, updated, and productive. " 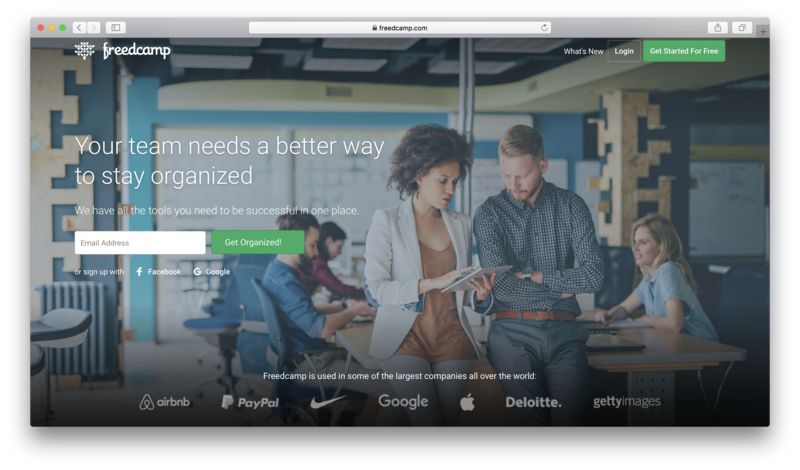 With Freedcamp, project management has become social and centralized. In the past, project management and collaboration was a daunting task, mainly due to lack of centralized system to handle multiple projects at once. Freedcamp aims to provide a centralized system with intuitive and innovative features that spark creative ideas. Now, the ability to streamline task management, time management, and social integration helps businesses to create efficiency and productivity. And it’s completely free! 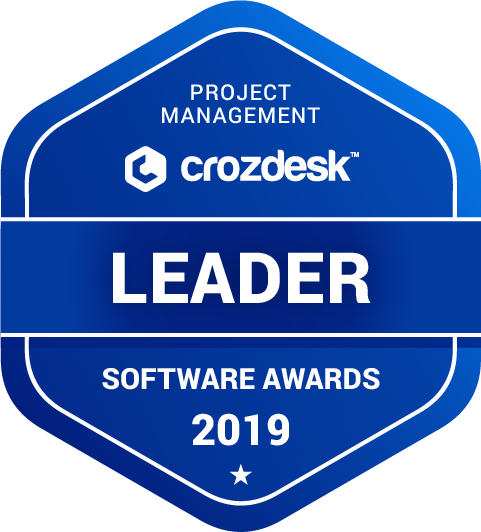 Freedcamp scored 89/100 in the Project Management category. This is based on user satisfaction (89/100), press buzz (50/100), recent user trends (rising), and other relevant information on Freedcamp gathered from around the web. Freedcamp is a project management software solution, a web-based project collaboration and management program developed for both single and multiple users, from freelancers to nonprofit organizations. Industries such as manufacturing, architecture, advertising, IT services, retail, telecommunications, interior design and engineering can benefit from the service. It is designed to help make project collaborations more effective, regardless of the location or the distance among team members. The project lead could be miles away from his or her team and they can still work together effectively as one cohesive unit via the cloud. A web-based group management software solution, Freedcamp is an ideal service for businesses and organizations that want to keep track and stay in control of their resources, ongoing projects, financial plans and obligations. Freedcamp is a free service available to multiple users and projects. It comes with a wide variety of tools and functions, such as scheduling events and appointments via calendar, assigning tasks to individual team members, time tracking capabilities and discussion boards, just to name a few. Whether you’re a freelance events planner or a business manager trying to lead a corporate campaign, Freedcamp offers tools and capabilities to help make the process more manageable and efficient. This is one of the biggest draws of the Freedcamp project management solution. It’s free. There is no limit to the number of users or the number of projects you can work on using the service. All you need to do is register an email or signup with your social media account and you’re ready to go. The caveat is the 200 MB storage limit. However, large businesses and commercial users who need that extra storage space can avail of the affordable pricing plans to upgrade the service. As previously mentioned, all you need to do is enter a valid email address or signup with your Facebook or Google account and you can start organizing your events within minutes. The setup is quick and painless, no credit card required. You don’t need to install anything on your system and the service is compatible with both Windows PC and Mac. Whether you’re working with a team remotely or functioning as a lone freelancer, Freedcamp lets you perform tasks, manage details and organize projects easily and more effectively. 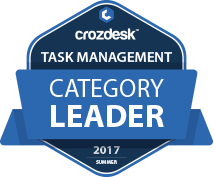 Discussion boards, time tracking, messaging board, issue tracker, task management, customer relationship management (CRM), invoice management, just to name few. All these applications make processes and tasks a lot easier and more streamlined. With the Freedcamp group management software, you can easily monitor your ongoing projects and keep track of the progress of each one through the Calendar feature, which can be synced nicely with Google Calendar. You can set scheduling appointments more efficiently, future plans, tasks, corporate events, campaigns and even team and company milestones and achievements. For commercial users with greater requirements as far as functionality and capabilities are concerned, Freedcamp offers specialized applications to help address the bigger, more sophisticated tasks that big businesses and organizations often deal with. Some of these added features include team wikis, issue tracking, project templates and invoice management capabilities. How much does the Freedcamp project management service cost? Small- to mid-sized enterprises, individual users and freelancers can take advantage of the service free of charge. However, for commercial users who need more functionality and features, there are add-ons that you can have for a reasonable price. These specially designed programs are useful for businesses and organizations looking to get something more out of the service when it comes to capacity, efficiency and utility. When it comes to group management software and project management solutions, there are plenty of options for you to choose from. Freedcamp may have a wide variety of features that are useful to a lot of businesses and organizations, but it doesn’t necessarily mean that it’s the right fit for you. Here’s the thing though: you will never know until you try it. The service is free, after all. The Free plan allows unlimited number if users, projects, tasks and file storage and packed with most essential functionality. Use only tools your team needs. Start a project with Discussions, add Tasks, Issue Tracker and Time later. We started Freedcamp in 2011 and never lost or exposed our customers data. 20 thousands new users create a Freedcamp account every month. Freedcamp is used in 85 countries. We provide interface in many languages now - thanks to our community of users! What is Freedcamp generally used for? Does Freedcamp integrate with any other apps? Does Freedcamp offer multi-user capability (e.g. teams)? Yes on all plans. Single user mode (solo) is an exception we try to accommodate for as well but probably be too much. Does Freedcamp offer an API? Does Freedcamp offer guides, tutorials and or customer support? Freedcamp was submitted by Igor Kryltsov from Freedcamp, Inc.